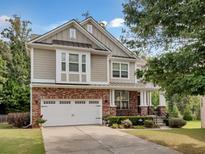 Below you can view all the homes for sale in the Stonebridge subdivision located in Suwanee Georgia. Listings in Stonebridge are updated daily from data we receive from the Atlanta multiple listing service. To learn more about any of these homes or to receive custom notifications when a new property is listed for sale in Stonebridge, give us a call at 404-998-4162. 4Bed 31/2 Bath,Well Maintained Home In Near 141 Access Community, The Best School District In Forsyth County,Hardwood Throughout Main Level, Stained Cabinets With Granite Counter Top, Open & Spacious Floor Plan, Kitchen View To Family Room, Huge Mater Bedroom Has Sitting Area, Newly Painted Whole Interior, Busy Shopping & Entertainments Are Just Cross Over The Community. MLS#6535265. Wealthpoint Realty, Llc.. Swimming Pool And Tennis Court Community. Do Not Miss! MLS#6519115. Harry Norman Realtors. Highly Rated Schools! Wow! Freshly Painted Inside & Out! MLS#6517925. Harry Norman Realtors. Minutes To Shopping And Restaurants. Rare Find! MLS#6120411. The Millionaire Realtors Group, Llc..